Mix for preparation of custard cream filling. Sugar; Modified starch; Sweet Whey Powder; Dextrose; Vegetable Oil; Stabilizer tetrasodium; Diphosphate; Calcium Acetate; Disodium Phosphate; Skimmed Milk Powder; Maltodextrin; Emulsifier E472a; E471; Milk Protein; Coloring Beta Carotene; Flavoring; Salt. For preparation of cold custard: Filling or base of tarts, pies, éclairs, choux pastries, napoleons, Danishes, French tartlets, baked custards tarts. Also used for decoration. 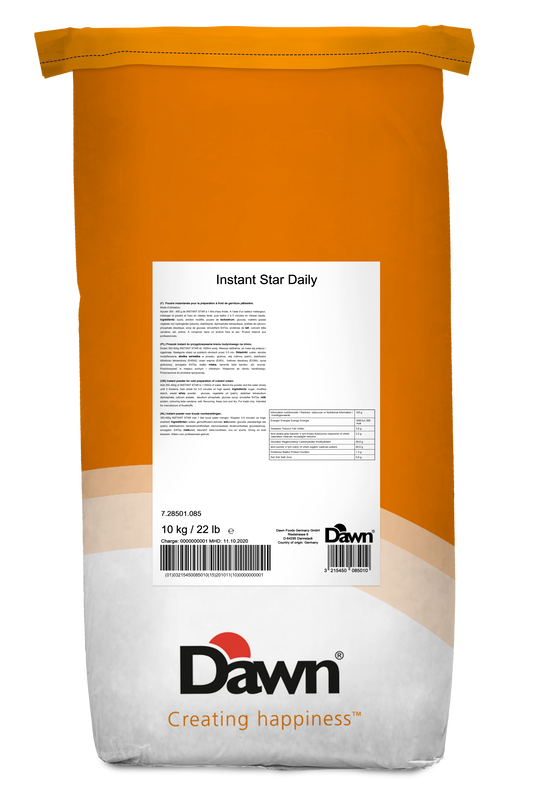 Add 350g to 400g of Instant Star to 1 Liter of water. then whisk for 3-5 min on high speed.